In this, the second episode of our New York mini series, Nicole talks to Sam Schwartz about the efforts to introduce road and congestion pricing in New York. Sam Schwartz served as New York City‘s Traffic Commissioner and the New York City Department of Transportation’s Chief Engineer. He now runs his own transport consultancy, Sam Schwartz Engineering, and is a columnist under the moniker Gridlock Sam. Sam also spearheads the Move NY campaign, which has put forward the case for a new approach to managing and financially supporting transport in New York. The proposal includes rationalising the bridge tolls, introducing congestion charging in the city centre and importantly also investing in public transport. A native New Yorker Sam joined the city’s transport department, which is responsible for street space not public transport, neither surface transport nor subways or commuter rail, as a graduate in the early 1970s. In the podcast, Sam outlines current efforts with the Move NY campaign to manage congestion, traffic levels and transport demand in New York. 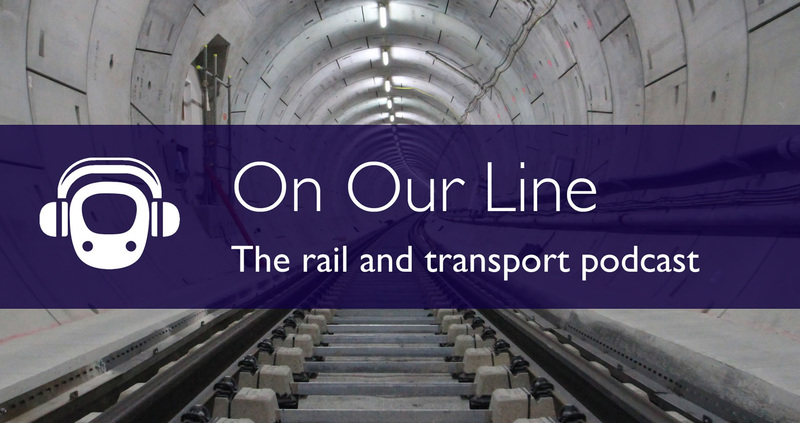 He also reflects on the various attempts in the last few decades to introduce road pricing or congestion charging and meet the public transport funding gap in New York – and his part in them. Check out the Move NY campaign where you can find more detail about Sam’s current proposal. For a summary of Sam’s role in transport in New York read Aaron Renn’s profile of Sam in the Guardian. For a deep dive Sam’s book Street Smart – The Rise of Cities and Fall of Cars offers insight into the his story and changing attitudes to transport in New York. For more up to date views on transport in New York, you can find Sam’s column in the Daily News. Look out more episodes of the mini-series coming soon. You can also listen directly through the internet via the embedded player below. New York City’s trunk roads (parkways) were largely the result of one man, Robert Moses. Today those same roads are full, and they’re finally discussing congestion charging. London’s congestion charge is symbolised by the letter C on a red background. No doubt if he came to London, Moses would part the red C.
“Moses would part the red C.” Brilliant. Cars aren’t falling. The number sold worldwide is at an all time peak and sure to continue to rise strongly for decades to come, barring the odd dip in recessions, so writing a book with “The Fall of Cars” in the title shows an out of touch metro-trendy mindset. We all need to get over the idea of being for cars and against public transport or vice versa. Both play an important role and will continue to do so. Let’s call off the conflict and try to make the best use of both at the same time. This is analogous to the housing market. Decades of war between advocates of owner-occupation, private renting, and social housing haven’t helped anyone. We need a policy mix designed to make the best of all three at the same time. It all depends where you are looking. Car sales are high because of countries such as China. In the West, sales have been broadly dropping for the last 10 years. In London, car use has been dropping for more than 20 years (more than 30 years if you are looking at car trips to the centre) and car ownership has been dropping for 10 years. This is all in stark contrast to the period from 1945 which saw a massive grwoth in both car ownership and use in London – and in New York, so the title seems to me to be perfectly appropriate. I’m not sure that the conflict you mention is actually genuine. I don’t know anyone who genuinely believes that London can do with cars of any sort. But it is about priorities. The chances of doing anything to substantially increase the capacity of the road network in London are pretty much zero (too expensive and too politically damaging). At the same time, London’s population is still expected to grow significantly, so some increase in total demand for road space is inevitable, all things being equal. The only chance London has of doing anything to manage the road system successfully will be if the maximum number of people who can switch to public transport, walking or cycling. Failure to adopt that approach would just lead to inexorably more and more congestion. Car sales are not the only factor in identifying the amount of cars in use. Longevity is also a factor. I don’t have figures for the longevity of the UK car fleet, but I think it may well have peaked. The immediate post war period saw many ancient vehicles on the roads because of the difficulties of getting new ones – steel quotas, export drives etc. The introduction of the MoT test saw off the worst examples, and other incentives such as scrappage schemes have had their effect in reducing the age. But cars built in the 50s, 60s and 70s had a bad reputation for rusting away. Improved rustproofing reduced the risk of this happening and later cars tended to last longer. But bangernomics is now becoming a increasing difficult again, partly because the tax system is weighted against older vehicles without the latest clean engine management systems, but also because DIY maintenance is impossible for many electronic engine management systems etc, so even old cars need professional maintenance, reducing the incentive to keep them running rather than replace them. quinlet and Philip Arlington may be more in agreement than is immediately apparent. Philip made no mention of wherecars will continue to be necessary. quinlet, as befits this site, concentrates on London. Recent events underline the fact that arguments applied quite validly to London are sometimes quite inapplicable to the rest of the UK (at least in the short term), let alone the rest of the world. London may, of course, be pointing to the global future – but alternatively it may be displaying characteristics which cannot and should not be generalised to elsewhere. @timbeau: Proposed new emissions zones will provide a strong incentive to Londoners to move to newer vehicles as well. @Malcolm: But the person formerly in charge of New York City’s road system talking about his experiences to a site dedicated specifically to London’s transport is fully entitled to take a purely large-city perspective (and his book’s title is explicitly about vehicles in cities too). More generally, a strong reason for devolving powers over road traffic to the city level is so that the people of that city can make the choices on space allocation etc that are right for the conditions of that city, without interference from those whose ideologies are based on their non-urban experiences (as in the case of upstate New York State legislators vetoing New York City’s congestion charge). Patterns in traffic levels and car ownership in London are actually not that dissimilar to New York and other major European cities. For example, household car ownership in Manhattan is almost as low as in inner London (instead of being driven by income as appears to happen elsewhere). Both car use and car ownership have been on downward trajectories in Paris, Hamburg, Stockholm, Amsterdam and other major cities in North West Europe for some time. London is at the extreme end of the spectrum, partly because of its size and partly because the street pattern was not heavily rebuilt in the 1950s and 60s following destruction in WW2. The Victorian/Edwardian street patterns were not designed with mass car use in mind.
. . . For example, household car ownership in Manhattan is almost as low as in inner London (instead of being driven by income as appears to happen elsewhere) . .. I wonder how much the figures are skewed by those (particularly second-homers) in central London registering their cars to addresses outside the capital? @John UK: If you register your car in Central London you get a 90% discount on the congestion charge, so if you have two homes the strong incentive would be to register from the London address. Contrariwise, insurance is probably cheaper if you give an address in the Cotswolds, with off-street parking. Timbeau’s thinking was behind my comment. I admit I had overlooked the CC, but the CC area covers a relatively small part of central/inner (which I think of as Zones 1/2) London. If you don’t register your car (and insure it) at a London address you don’t get a residents’ parking permit for that address. Put that together with the CC discount and there is a very strong incentive to register your car in London rather than at a country second home. @John UK – If you don’t register your car (and insure it) at a London address you don’t get a residents’ parking permit for that address. Put that together with the CC discount and there is a very strong incentive to register your car in London rather than at a country second home. True, there is a discount for those vehicles registered within the CC zone. Sadly, most London addresses fall without it. Why “sadly”? – I would rather be outside it and not pay at all, than inside it and pay a discounted rate. I understand that the only way to keep a vehicle in the CC area during the charging hours without paying at all is to keep it off-street or in a resident’s bay (with a permit) for the duration. Not sure that is a congestion charge issue. It might be more common for people to drive a car registered at a relative’s address in a cheaper insurance postcode in a different Borough. No resident’s parking permits for them! The original contention was that household car ownership figures in inner London might be deflated by virtue of people with second homes in the country registering their cars there instead of in London. My point was that the residents’ parking permit regime (as well as the congestion charging regime) provides a strong incentive for the reverse to happen. If your car isn’t registered and insured at your London address you won’t be able to park outside it – simple as that. Far from people registering their cars in postcodes that get cheaper insurance, the reality is somewhat the reverse. Some people will try and use friends’, business or accommodation addresses to get a Westminster or K&C residents’ permit. Both boroughs maintain fraud squads which will inspect addresses if there is some doubt that the applicant actually lives there. @ quinlet et.al. – Just as an aside, living in SE24 and once upon a time keeping the car outside my house (outside today’s CC zone but in ‘inner South London’), I sold my car over 30 years ago when I realised that the annual full third party comprehensive insurance alone was costing more than my annual LT + BR Travelcard – and that was without even moving the blinking car! With excellent, albeit sometimes ‘variable’ (c.f. strikes, go-slows, work-to-rules &c), railway and bus route services, including late night trains and all-night bus routes both towards and away from Central London and their connections to far and wide, I’ve discovered that I haven’t missed my car yet, even after all these years. Southwark Council has recently introduced a CPZ in the area, so one must now have a permit for a car, whether resident or visitor, if stopping over weekdays between noon and 2pm. ; however, an annual permit for such is still ‘only’ £125, which I deem not bad in the measure of things these days. It has certainly been effective to release parking space and even air, opening up my road significantly pleasurably during weekdays. I seem to choose my friends carefully, for none visit me by car between said midday hours and I still don’t miss my own car. Why, I can even afford the occasional taxi. TfL have even recently extended the 42 bus route, now double-deck at that (WW please note) to terminate in the Sainsbury’s forecourt at Dog Kennel Hill. I might as well add “almost just for me” for, so far, I am one of never more than four passengers who take advantage of the extended route and usually the only person who boards and alights actually at Sainsbury’s. And WW tells us that TfL will have to cut back on bus services, which I admit that I can’t dispute. I just wonder who computed their projected ridership figures for bus routes. They seem to ignore the connecting railway East Dulwich – North Dulwich which runs at similar frequencies and takes just about a minute for the journey. As those who predict bus travel along Oxford Street will evaporate when Crossrail opens will discover, rail cannot substitute for bus for short trips. Not having lived in the area since 1984, I’m not sure where the Sainsbury’s is, but I would be surprised if the rail service is quite as convenient for shoppers as a bus that actually stops in the forecourt. It has long been the case that for childless couples and single person households in London it is usually cheaper to travel solely first class by train (where available) and taxis than to own a car. The spread of car clubs extends this privilege to many larger households who do need to use a car occasionally – and previously would have bought a car only to see it sit outside most of the time. Every additional car club car on the streets results in between 10 and 12 people disposing of a car and another 4 or 5 deferring purchase (though this could be for other reasons). New car club members also travel more by foot, bike and rail, and about 800km a year less by car (on average) than they did previously. Yet the DfT are still predicting a massive increase in car ownership & use, are they not? As a counter-example, I’ve found driving in London to be much more affordable than I expected. Until very recently I lived in Hammersmith. A couple of years ago my wife and I bought a car; we paid £6,000 for a second-hand hatchback; £650 for insurance (zero no-claims bonus, no other cars, pretty much starting from scratch), £119 for the residents’ parking permit; and about £200 a year in servicing and MOT. Fixed costs are therefore around £1,000 a year; add another £1,000 per year for depreciation. When do we use it? Evenings and weekends exclusively. For example if we’re going to visit friends in Tooting, it’s 45 minutes by tube or 35 minutes by car. That’s only a small saving; the real difference is cost. Hammersmith to Tooting by tube costs £2.80 per leg; that’s £11.20 for a return journey for two adults. The petrol cost is just £1.25. Or consider a day out to e.g. Oxford: £50 for two adults by train, but just £11 in petrol; so plenty left over for Oxford’s notorious parking costs. In short, once you’ve paid your fixed costs, the marginal cost of any journey is almost always cheaper by car. For most journeys outside peak times the door-to-door time is faster too; and that’s from Hammersmith, one of the best-connected areas in London. If we both had Z1-2 travelcards, the cost-effectiveness would be different. But when one adult works locally and the other doesn’t work at all (SAHM, as they say on Mumsnet), it’s easily worthwhile. What surprised me most was the cost of parking on the street. As a resident I paid just £10 a month to park in inner London. A non-resident would pay at least £12 per weekday in a local pay & display car park. Why is my parking effectively being subsidised to the tune of £3,000 a year? @quinlet above mentioned car clubs. In my experience they’re far too expensive. For example using ZipCar for the above day trip to Oxford, assuming we spend eight hours away from home, would actually cost over £60. Even our weeknight evening in Tooting would cost at least £10. Car clubs have other downsides too: you’re forever watching the clock and are too often tempted to exceed the speed limit in order to get back in time for the end of your slot. Finally, coming back to the original post: The congestion charge is irrelevant to me. Even if it was extended to the north/south circulars, I mostly use the car outside congestion hours. The single most effective change for me would be higher parking charges. If we had to pay e.g. £1,200 a year to park on the street, we wouldn’t have bought the car in the first place. DfT’s ownership forecasts are driven solely by income and hence they predict large increase in car ownership in London because income levels are relatively high and car ownership relatively low. Having predicted large increases in ownership this then results in large forecast increases in car use. I think those of us involved, including at TfL, recognise that the DfT forecasts are absurd. I understand even DfT are getting a bit concerned that for the last 20 years they have consistently forecast large increases in traffic levels in London that have completely failed to materialise. As a result they have set up a group, co-chaired by UCL’s Peter Jones, to look at this. I suspect the answer depends on just how frequently you want to go to Tooting or Oxford. If you only want to go to Oxford (or the like) 2 or 3 times a year, then £60 a time is a snip compared to the £2,000 fixed costs for the car. If almost all your trips are to Tooting and the like then the cost of 2 zone 1-4 travelcards is easily less than the £2,000 fixed costs you pay for your car, even if you then add in 3 Zipcar trips to Oxford. You are certainly right that councils subsidise residents’ parking very heavily and without much justification. Back in the 1990s, Camden calculated that the true cost of a resident’s permit was nearly £500 a year and it will be significantly higher now. The problem, of course, is the political cost of eliminating the subsidy. @ Graham F – quite why you feel I need to be reminded about route 42 I know not. I maintain at least two sets of records about the bus network and changes thereto. 😉 As I am sure you know TfL had a dilemma with route 42. Demand from Camberwell inwards was such that single deckers were inadequate. However issues with trees prevented the use of double deckers at the old Sunray Av stand so TfL either had to curtail the route short of Denmark Hill or extend it. I thought there had been some level of local campaigning for the 42 to reach East Dulwich but I may be mistaken on that point. I doubt we will see any stable patronage numbers on route 42 for 2016/17 because of the works at Aldgate, then the extension coupled with Tower Bridge being closed. It’ll take several months for things to calm down. In respect of cuts to services I am merely repeating what has come from the mouths of City Hall and TfL. You don’t use the word “rationalise” and think it means expansion. We already have several consultations either complete or ongoing which lead to service cuts in certain areas or on particular routes. By way of balance there are one or two which see diversions of or rerouting of services to try to offer a better service for people. However these are typically small scale or done in a way to minimise extra resource costs. There’s no sense of the much promised larger scale expansion of services heralded in the “500 extra buses” announcement from 2 Dec 2014. When we eventually get past whatever is being orchestrated for the upcoming Autumn Statement  and see TfL’s updated business plan and budget then we will get our first sight of what TfL think is going to happen to its finances with a new Mayor in charge. I am not expecting to see a “pretty picture” when compared with the last set of numbers. 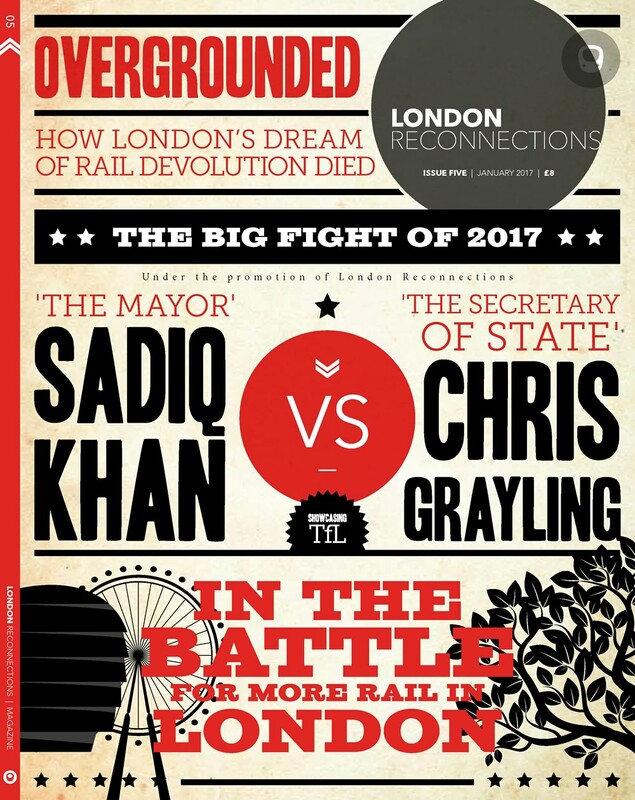 I am assuming something on rail fares, rail devolution and CR2 will feature for London but possibly little else. Being the pessmist that I am I am not expecting much good news on the latter two items. I’d not be shocked to see a 1 year “fares freeze” on Travelcard / PAYG fares & caps being put up by the DfT. The lack of any fares announcement thus far has made me wonder what’s being cooked up behind the scenes. Ordinarily we should really have had a very bland fares announcement by now – freeze on TfL services, inflation rise on DfT controlled routes. In Newham, a residents parking permit costs £0. How so? Well people who don’t live here pay a lot more parking and traffic offence fines than people who do live here. Indeed so. Newham subsidises its car owning residents very heavily. But these subsidies do not come from parking and traffic penalties. Like almost every other boroughs, Newham just about breaks even on its enforcement. Boroughs do make a surplus on their initial parking charges and the size of this depends on if they price up sufficiently – the rule of thumb is to price to achieve 85% occupancy, though most boroughs under charge and suffer excess searching traffic as a result – and if a large enough part of the borough is covered by paid for parking. It always surprises me that the non-car owning residents of inner London – the majority – don’t question why the minority of car owning residents should get such a hefty subsidy. @ Quinlet – probably because we had no idea (speaking as a non car owner / user) about the scale of the subsidy. It’s not exactly something that’s “out in the open”. I assume this is to avoid “upsetting” those car owning residents who do vote – I’d not be shocked if they were typically somewhat older / better off than the non car owners and had a higher propensity to vote in local elections. You will correct me if I’m wrong but I understand any surplus from parking revenues has to be spent on local transport schemes. I suspect many boroughs can’t find schemes that they could reasonably deliver from any surplus and boroughs no longer fund bus services or enhancements in their areas. This was done in the past but TfL seem to have killed it off. (Being selfish) I’d have no issue with parking surplusses funding some better local buses but there is zero prospect of that happening. Subsidy seems a slightly odd word to use when referring to not charging for something (roadside parking) which was historically not charged for. Yes, residents are nowadays treated differently from non-residents, whereas in the past they were not. But this is probably connected with the fact that the body deciding on the charges is regulated by local councillors elected (or not) by the said residents. The non-car-owning residents are not much affected by the level of the charges – except for the slightly tenuous argument that their rates might be slightly lower if the council raised more money from parking charges. But only slightly, as central government would presumably step in if a council decided to try to raise charges to a level which brought in bucketloads of cash; probably impossible anyway as there are only so many metres of roadside space available. Too right. Especially if Councillors include people who spend 30 minutes driving home from a temporary job and another 20 minutes finding somewhere to park the car within half a mile of home. Its one of those experiences that locally elected people share with their neighbours. Do such people exist? The more plausible prediction that has been made is that when Crossrail opens, the increase in the number of pedestrians on Oxford Street will be such that something will have to give, and that something will be buses. How about the current reorganisation of the Paris bus network, which basically involves cutting duplicated routes in the centre to expand service in the under-served east of the city? Where I live in West London, the charge for a skip permit works out at about £11.28 per day. @ Ian J – I don’t see the relevance of what Paris are doing to London. The transport circumstances in Paris as well as housing density and other factors create rather different transport demands. I have used various bits of Paris’s bus network and it’s a long way away from what we have in London – largely because the Metro network is so dense and frequent. I also rather expect the French will be looking to secure overall improvement from their proposals whereas they cannot be the case in London. I don’t see the pedestrianisation of Oxford St as either inevitable or desirable but I recognise the politics are against me on that one. I can’t see how TfL can effectively reorganise the central London bus network without it losing a great deal of its utility for passengers. I also think that any move by TfL to put more buses on streets like Tott Ct Rd, Shaftesbury Av, Charing X Rd or Regent St will simply move the debate to demands for those roads to be pedestrianised. It’s perfectly clear to me, based on things I’ve read, that the pressure groups behind Oxford St pedestrianisation want a domino effect to start if they get their way. I am afraid I don’t view the emaciation of Central London’s bus network as a desirable objective even if resources are freed up for elsewhere. My view is the entire funding basis for London’s transport network is now in a mess and will be in crisis within 2-3 years and the only people who are going to suffer are passengers. I don’t see that as an acceptable way to support the capital city’s economy nor a wide range of other policy objectives. Yes parking account surpluses must be spent on either improving public transport or the highway network or on environmental improvements. The biggest single use of these surpluses is actually to fund Freedom Pass – which would be wholly unaffordable without parking account surpluses. Some boroughs do also fund extra bus services. The subsidy is not notional in terms of charging for parking spaces but actual in that it includes administrative costs in operating the residents’ permit schemes, fraud prevention and detection, enforcement costs (although these just about break even) and revenue foregone from spaces that might otherwise be paid for parking. I’m sure WW is right that the level of subsidy is a political reaction to the fact that older people are four times more likely to vote and that they are more likely to be car owners But I can’t help feeling that market pricing would not just provide a welcome increase in revenue for councils but would also stop the frantic hunt for a parking space remotely near your home if you live in some parts of inner London and come back late. quinlet: I didn’t say that the “subsidy” was notional – for the reasons you give it is worth looking at and worth considering changes. I just feel that calling it a subsidy is a loaded and perhaps misleading appellation. If my local council, which controls a rather splendid bit of beach, decided to charge visitors (but not local residents) for using the beach, I would not describe it as giving me a subsidy. I would expect any admin costs to be set against the income from the visitors, yes, but my position, using the beach for free, would be unchanged from what it is now, that is nobody would be subsidising me at all. 1) requiring the resident to prove that the vehicle is registered at the same address. 2) requiring applications to be on-line only. The fraud is not just about the vehicle but also about the residence. There are numerous examples where people have tried to pass off their business address or a friend’s address as their own, and in some cases it’s not that easy to tell (for example a shop with a flat above). You still have to provide enforcement against non-residents’ cars. On-line only applications may come but do still discriminate against those without such access. Aaagh – cut off in mid flow by a phantom send! I was going to add that there are nearly always choices about how you charge and those charges can affect who subsidises whom. In your beach example, the beach might be free to everyone but is paid for by charging everyone who uses the car park – in this case, drivers are subsidising non-drivers. On the other hand, if the car park is free but the beach access is charged, then non-drivers are subsidising drivers to cover the cost of the land and maintenance of the car park. It’s quite rare for the charging regime to get it just right so that nobody subsidises anyone else. However, in the case of the resident’s parking permit, the level of subsidy is sufficiently large to make a good dent in council tax payments, thus either depriving the community of other services or causing other charges or taxes to be higher than they might have been. We have that arrangement, and whilst it may reduce overheads it is very user-hostile: even for those who have the Internet. (Many older people who depend on their cars have no internet access). It used to be possible to get a permit over the counter straight away, provided you had the correct documentation. Now you have to send it all in and wait for them to post the new permit back. Quite apart form the postage costs, this can take several days. Where do you park your car in the mean time? They say you need to give ten working days’ notice to get a permit – so if I have just bought a car I can’t take it home for two weeks. I had the same problem. For a couple of weeks while awaiting documentation my car was parked further out in a non-CPZ area, a long walk (or a short bus ride) away. I hate to think what the insurers would have said if the car had been stolen during that time. (a) The price which achieves 85% occupancy (as per @quinlet above). (b) The maximum price that the market will bear. This means fewer spaces will be occupied than under (a), and that each car-owner will pay more. Anything less than (b) is a subsidy, in economic terms. Whether it is politically feasible to reduce that subsidy remains to be seen. The lowest level of car ownership in London is in Islington, where just 26% of households have a car. Unsurprisingly, Islington has the highest parking charges. By which I assume you mean the price that maximises total income? Surely subsidy is based on max revenue etc. not max price then? @ngh – your purist economist would argue that the price for each individual transaction should be set individually so as to maximise the amount that that individual would be willing to pay for the service or good received. So the two propositions converge (in theory). You also now see why economists cannot stand the idea of public transport because it charges an averaged price across many transactions (and offers an “averaged” service). BTW not only have I heard Treasury economists many times state that a failure to tax is a subsidy but I have heard them extend the argument into the ownership of property. All property belongs to the state for the purposes of taxation.. Older readers will recognise that these arguments were first put forward in the reign of King John in the “Dialogus de Scaccario” although the taxation policies of kings since at least the reign of Athelstan seem to have rested on the same principle as in “The King took 1/6th – or some other large fraction – of all moveable wealth and was ‘given’ property by its supposed owners so that the King ‘might not be angry with them’ “. I know the demographic of LR’s readership includes people a lot older than me, but I doubt anyone is quite that old! You are using the term ‘subsidy’ properly whereas I was being sloppy and using it to mean only those circumstances where the income received does not fully cover the costs expended. In my sloppy case the revenue received bears little relation to the costs expended and a significant surplus can ensue.